Ivy Book Bindings: 2012 End of the Year Book Survey! So basically. YES to everything! I like that you put Australian contemp (I should have done that! And you've read all of Marchetta's works?!) I was gonna put Bitterblue on my list but I decided to go with Easy. I gave Bitterblue a 4.5 but Easy got a 2...so yeah. Great survey girl! And first comment! Merry Christmas Keertana!! I hope you enjoy the presents your Secret Santa got for you :D.
Yay for Wanderlove and The Raven Boys! They both my list! Oh and Cinder made it on there too lol. 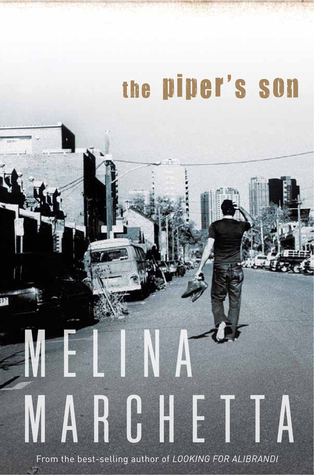 I still haven't gotten around to read The Piper's Son, but I will soon! It is ridiculously sad the number of books I haven't read that you've gushed about Keertana!! I seriously have to get my hands on ALL of these books. I remember picking up the first book of Megan Whale Turner's series, The Thief, but I don't think I continued on with the series. This will be remedied in 2013 for sure! I've only heard endless gushing about this series from multiple people, including you, so it MUST be good. Also, confession: I haven't read anything my Melina Marchetta yet. *hides face* It is absolutely going to happen sometime! I'll have to see if my library has any of her books. Which would you recommend that I try out first? I agree about Bitterblue, that was definitely underwhleming for me. I am a HUGE fan of Graceling and Fire, and was pretty disappointed by Bitterblue, which I just expected to be better than it was, although I did enjoy it. I was just expecting something a little better, especially because I basically stalked ALA Midwinter just to get my hands on an ARC of it. Fabulous list Keertana! You absolutely MUST go to an author signing or event of some sort, they are unbelievably fun. Meeting authors is like the coolest thing ever, although it's really difficult not to completely fangirl. I just love tha you loved The Scorpio Races as much as you did, it's really unforgettable. I've started The Storyteller but could never quite force myself to keep reading, so I got stuck at pg. 100 or so. It's just so dark, dark, dark, much darker than, say, Sanctum. Hopefully I'll grow a backbone soon and pick it back up. And the quotes you chose are just wonderfu. The last one from Quintana ripped my heart to pieces. I just love them both. So glad to see you give lots of love to Saving Francesca! I know a lot of people don't really like it or don't bother even finishing it and that makes me sad. Also yay for mentioning the friendship in Code Name Verity - KISS ME QUICK! And you might go to BEA?!! Me too, maybe!! I'll be over in the USA at that time so yay, i hope we both go! Okay this post just excited/frustrated me because it means I have to a ton of new books to my TBR. BUT I also agree with you about anything on this list that I've also read. 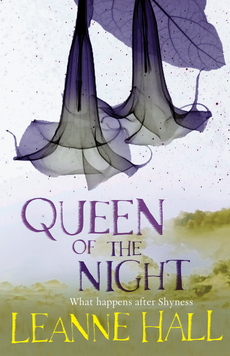 I can't believe that you read THE QUEEN'S THIEF series this year too. I've just started aCoK and enjoying. And I'm feeling the same way that you are about JUST ONE DAY. LOVE these posts. If I find some time I'll do one too. Also, I'm reading Angelfall tomorrow and I'm SOOO excited (can't believe I haven't read it yet!) I expect to love it - no pressure on you, book. Lastly, the quotes you shared are spectacular. 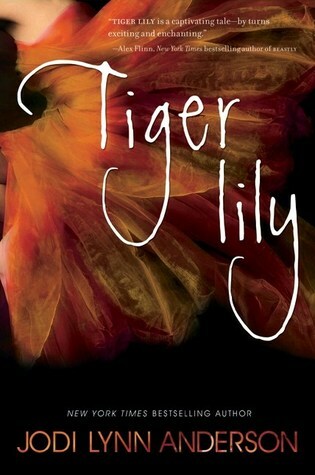 :) The writing in Tiger Lily especially made me swoon... some of the passages I just wanted to eat up. Clearly I need to read both the Fever and Kate Daniels series - I need more UF in my life and you ranked them so highly. And I need to get on reading more Melina Marchetta. Lots of great suggestions in your list here - definitely adding a bunch to my TBR list! It's so great to see a lot of my favorites up in there! I completely agree, Melina Marchetta is a GODDESS. The wait for Quintana has been torture. I'm sad to hear about Bitterblue.. I loved Graceling and Fire as well but haven't had the chance to start on Bitterblue. I also loved Maggie's novel especially The Scorpio Races! The Raven Boys was pretty exciting too. You have some favorites that I haven't read yet like The Diviners and Karen Marie Moning's books. They're on my wishlist so hopefully I'd be able to have them on my shelf by next year. :) Btw, if you haven't read Patrick Ness' Chaos Walking trilogy, I highly recommend that you do! Awww, sad day that you didn't like Bitterblue. Cashore is one of my favorites as well and while I really liked Bitterblue, I kind of see why you didn't since it's definitely way different than Fire and Graceling. I think it was a miss for quite a few of her fans. Gosh, I don't know how I missed this post last month! December is CRAZY at my house is my only explanation, sorry! Totes agree on Days of Blood & Starlight and The Scorpio Races being the most beautifully written books! I'm totally stuck and having a hard time reviewing Days because the book is just so PERFECT.